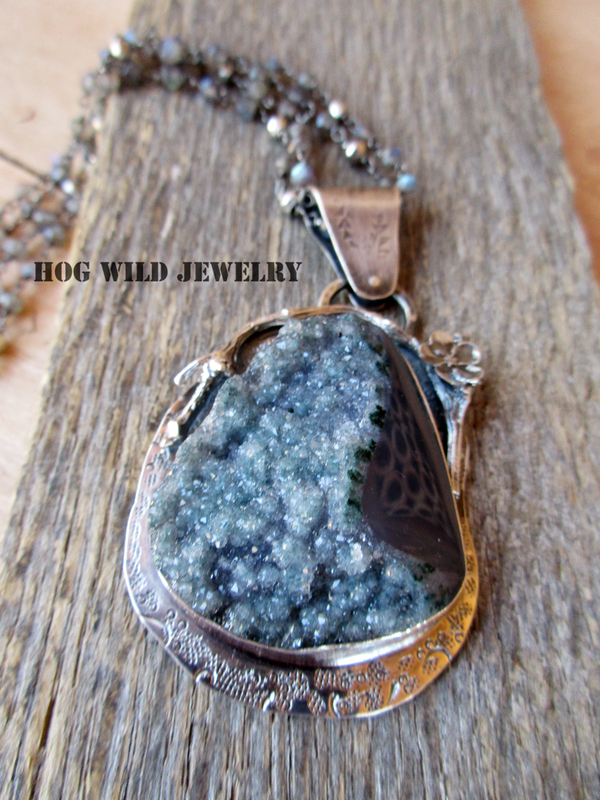 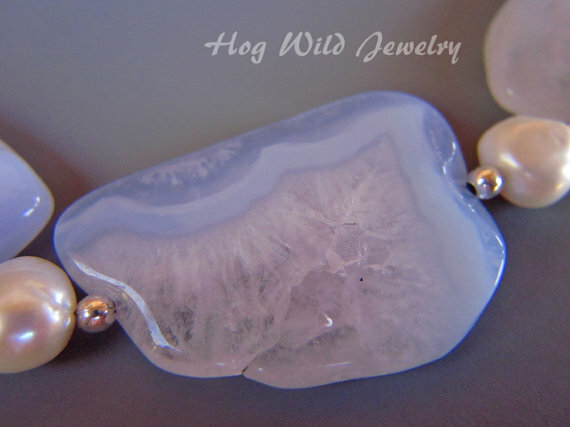 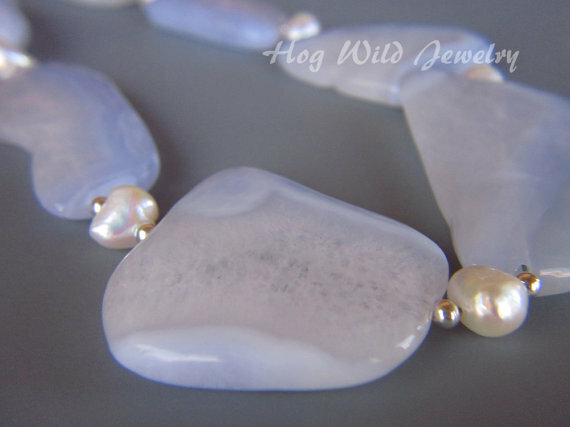 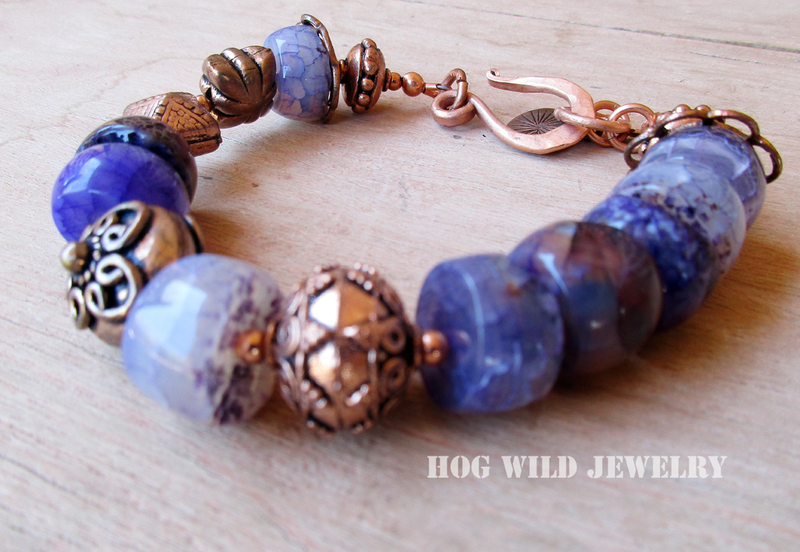 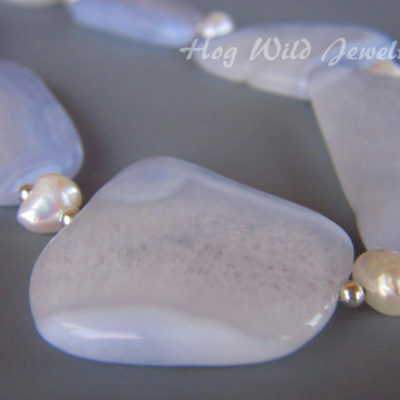 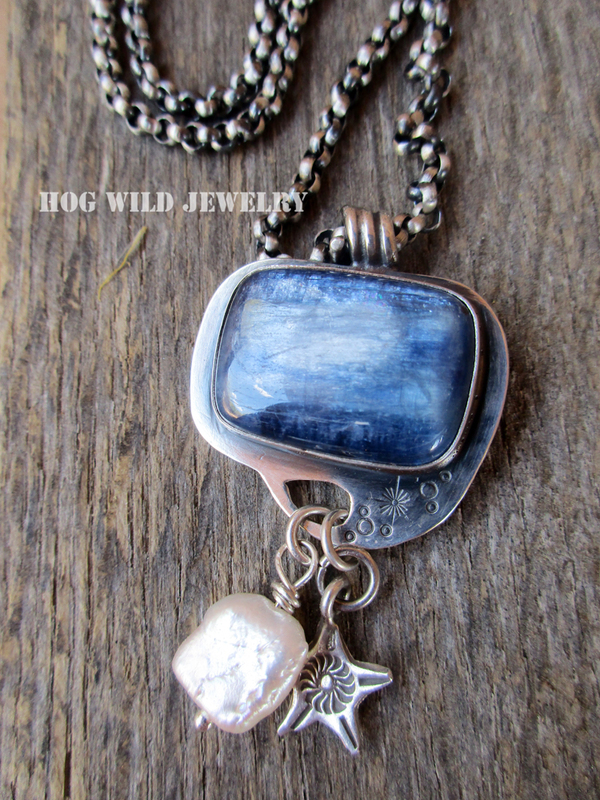 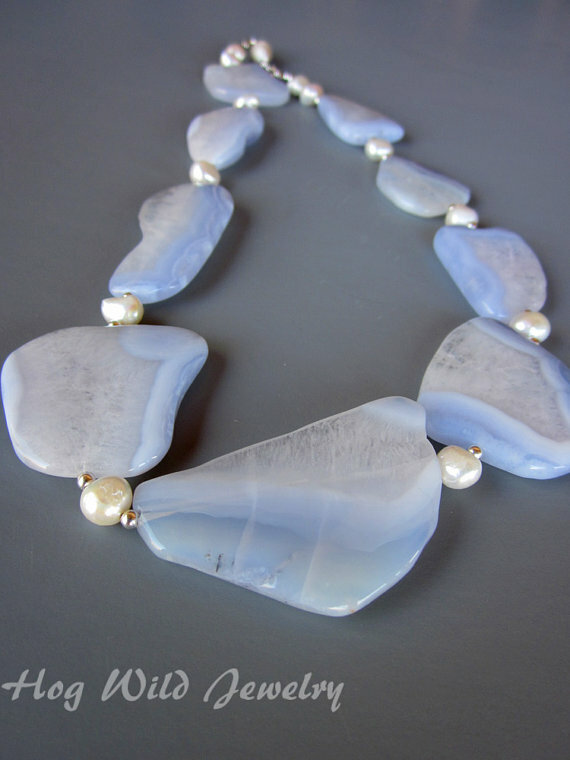 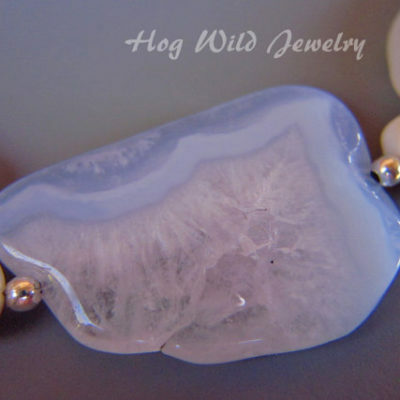 Blue Lacy Agate Slab and Pearl Necklace designed by Claudia. 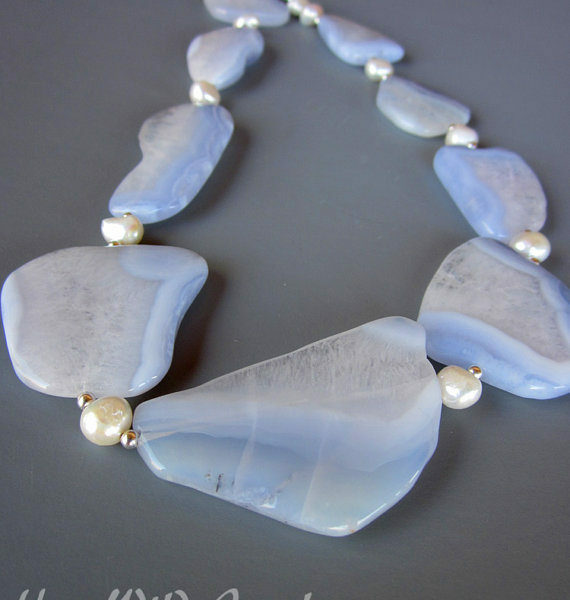 Large blue Lacy Agate slabs (1″-2″) with creamy white pearls. 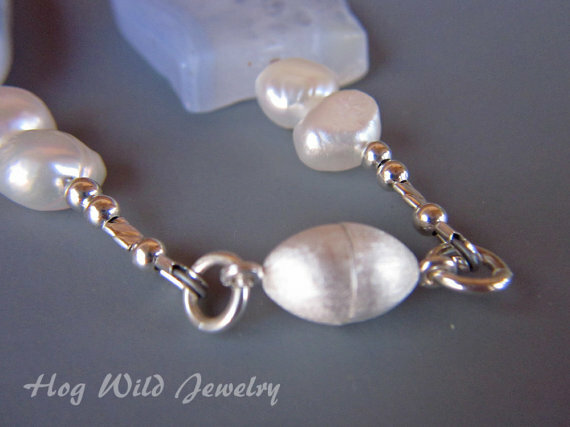 Sterling Silver spacer beads. 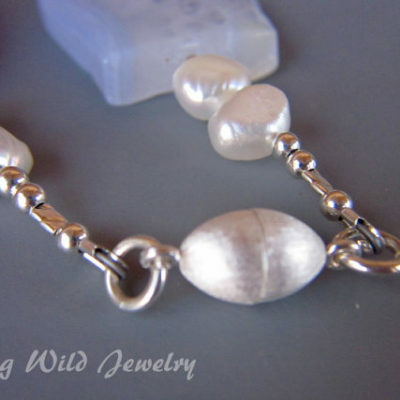 Easy to use magnetic Sterling Silver clasp. 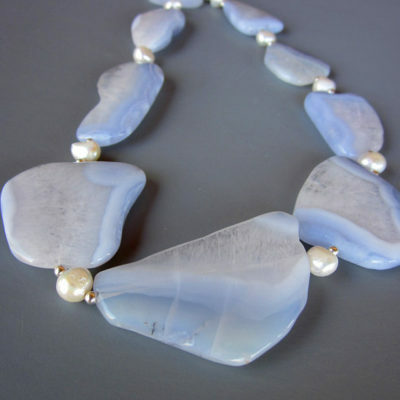 Beautiful statement that is perfect for any special occasion. 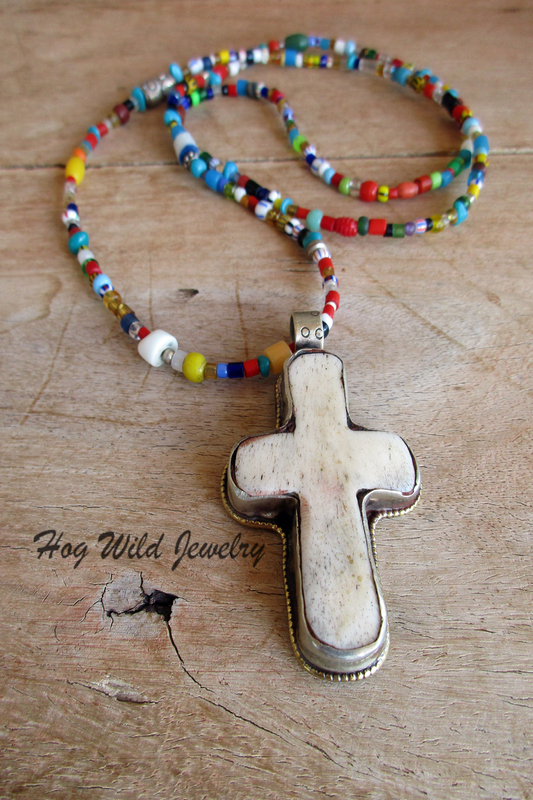 Truly dramatic piece!